Well. To be honest. I really like my shell. It is sparkly in all the right places & fits me perfectly (for now). So, I wish to come out of my shell by working towards become more accepting of staying IN my shell. How’s THAT for a conundrum? No, but seriously – while sometimes I am irked that my energies are depleted faster or that someone makes light of me preferring to stay home with a good book or crossword puzzle…That is where it is AT. I put on my dancing shoes & get out there once in a while. But I also relish staying in with twinkly lights & a cup of tea, driving myself crazy over what 15-across could possibly be. Additional acceptance of the shell is where it is at for me right now. As you wish for yourself, I wish for you also. As Allison wishes for herself, so I wish for her also. I love how you are very clear on what you need right now and are willing to give it to yourself! 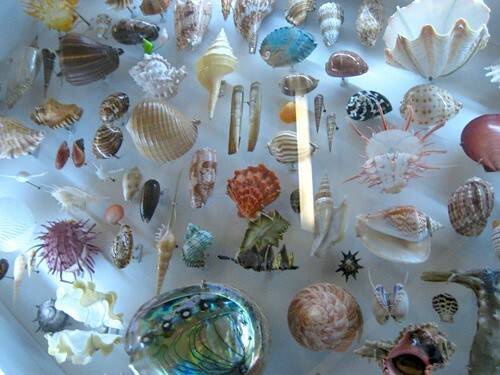 If your shell is one those it is indeed very beautiful. As you wish, so I wish for you. i’m right there with ya…i love my shell, too. as you wish for yourself, i wish for you also. As you wish for yourself, I wish for you also! Additionally, your shell is lovely, maybe you need to share it more? And by that I mean… I am overdue to see the zen apartment. Yes, shells are protective, and cozy, and and a place to dream and certainly necessary. I have been in mine too long so I want to come out of it more often. As you wish for yourself so I wish for you also. As you wish for yourself, so I wish for you as well. As Allison wishes for herself, so do I wish for her also. I need to plug in my twinkly lights to enchant me as I finish visiting the Wishcrafting blogs! As Allison wishes this for herself, so I wish it for her as well. Thank you for that post Al, from one shell-dweller, to another!